Emphasizing the beautiful nature of love and life. 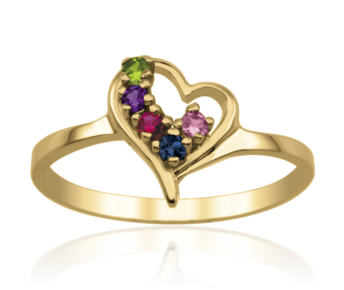 This heart shaped ring with its bouquet arrangement of gem stones is yours to modify in order to accentuate its ideas of love, life and happiness. Available with 1 to 7 round stones, each measuring 2 mm. Available in ring sizes 4 to 12. A stylish and perfectly designed ring that invokes grandeur and grace, this piece of exceptional jewellery is designed to be worn alone or stacked with another. 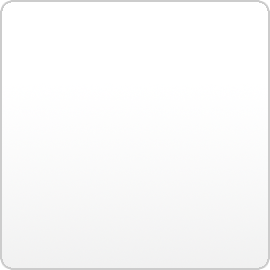 Available with 1 square stone, measuring 3 x 3 mm. Available in ring sizes 4 to 12. 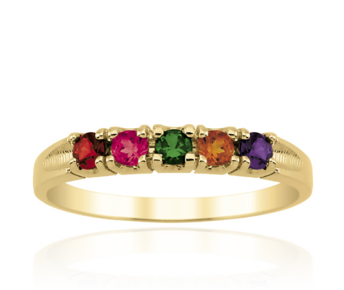 A traditional, customizable gold and jewel encrusted Mother's ring, which is as much a symbol of beauty and elegance as it is stylish and dignified. A unique and ideal gift or self purchase. Available with 3 to 7 round stones, each measuring 2.5 mm. Available in ring sizes 4 to 12. 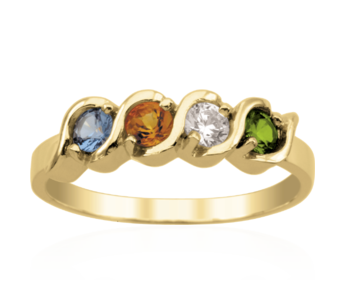 Stylish and youthful, yet intrinsically exciting, this gold and multi-coloured stone embedded Mother's ring is creative and fully customizable to fit all wants, needs and wishes. 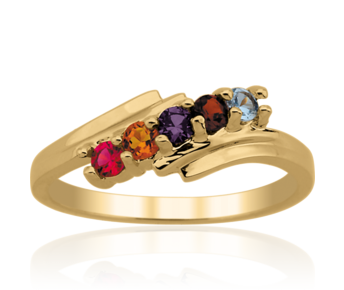 A beautiful Mother's ring in which she can hold her family close to her at all times. Available with 2 to 7 round stones, each measuring 2.5mm. Available in ring sizes 4 to 12. 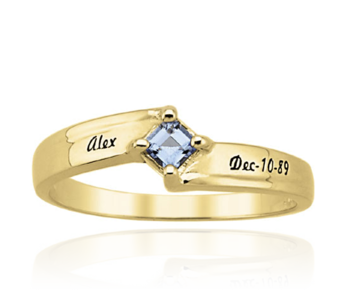 This ring is pure elegance in its classic design. Each stone, separated by a ribbon of gold tells its own story. Available with 2 to 5 round stones, each measuring 3 mm. Available in ring sizes 4 to 12. 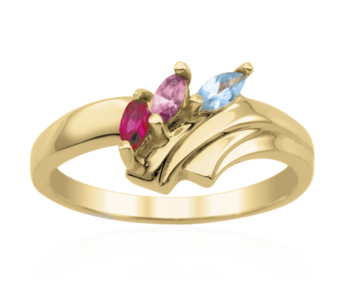 Daring and novel this beautifully crafted gold Mother's ring, with its marquise shaped gems is a spectacular gift for someone who is more than special. 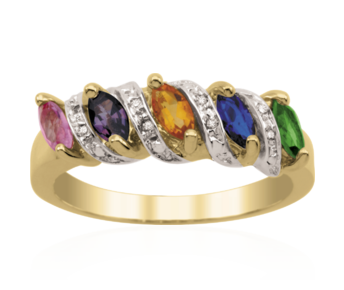 Proudly displaying stones that stand out from their gold casing, this stunning piece of jewelry can be tailored to suit your needs and requirements. Available with 2 to 12 round stones, each measuring 3 mm. Available in ring sizes 4 to 12. 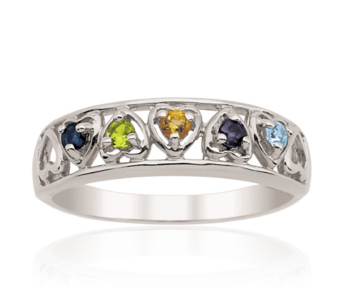 This beautifully designed ring with its combination of diamonds and gemstones creates a timeless family heirloom. Total diamond weight 0.02ct. 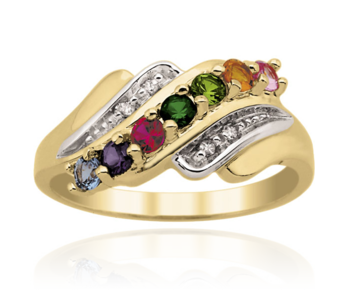 Available with 3 to 7 round stones, each measuring 2.5 mm. Available in ring sizes 4 to 12. 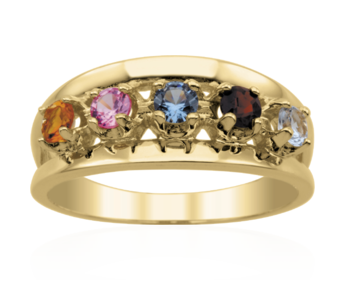 Elegant and regal, this blend of diamond and multicolored jewels on a bed of gold can be enhanced and altered to become the perfect gift for that special person. Total diamond weight 0.025ct. Available with 3 to 5 marquise stones, each measuring 5 x 2.5 mm. Available in ring sizes 4 to 12. Pronouncing love in a way that is both delicate and sensitive. 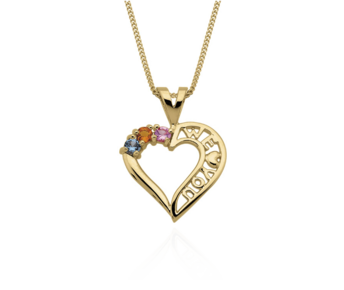 Whether as a gift for college, graduation or some other important landmark, this pendant is a must have for any woman. Available with 3 to 7 round stones, each measuring 2.5 mm. Available with an 18" or 20" chain. Inspirational as it is a remarkable piece of art. 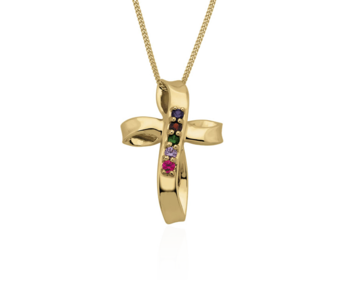 This pendant cross captures the essence of beauty with its array of gems set amongst delicate gold. Available with 3 to 7 round stones, each measuring 2 mm. Available with an 18" or 20" chain.